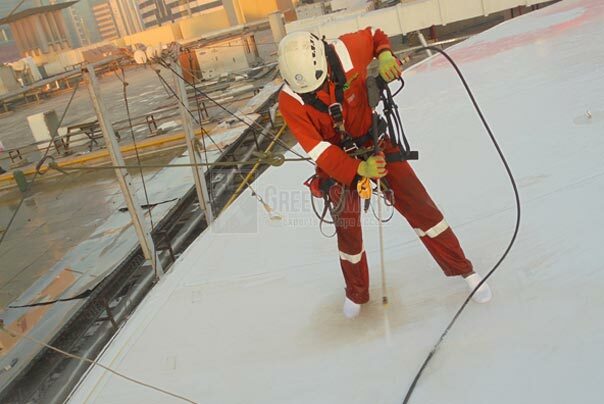 Green Smart Technical a one of the Famous Rope Access Companies in Dubai, Maintenance and repair works carried out on the exterior of the multi-storey and sky-scrappers need sophisticate approach, astute planning and implementation and adequate safety measures to protect workers concerned from untoward incidents at work sites. Exteriors of buildings include facades, glass windows, glossy tiles and fibre glass covering need periodic cleaning and maintenance to give buildings a lasting impression on the clients of business establishments and also their employees. As Dubai skyline is filled with several high rise buildings and skyscrapers with most outstanding BurjKhalifa being the tallest among all, building owners and tenants always look for dependable service or maintenance provider for building exteriors which include cleaning of windows, glass tiles, aluminium sheets and glossy facades or perform any other civic repairs or works which need scaling dangerously through the periphery of buildings. 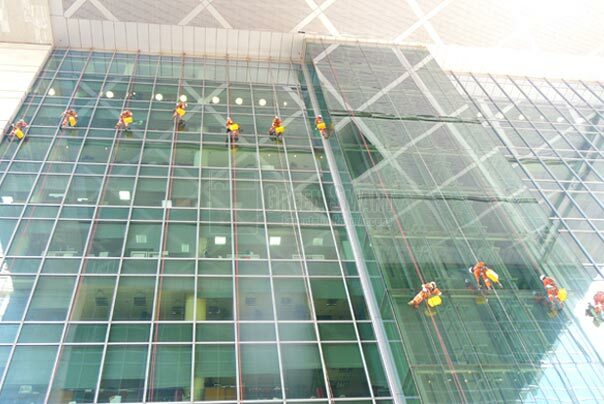 Companies in the business of window cleaning or high altitude maintenance or repair works in Dubai, use rope access technique to send men and machinery to the affected areas of the buildings to perform the necessary repair and maintenance works. 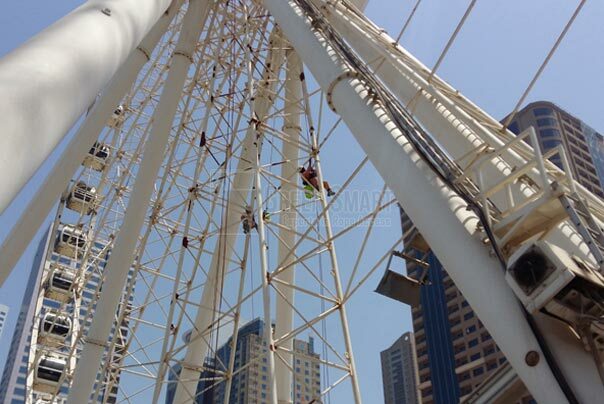 Rope access is chosen the method for many companies in Dubai in which special ropes are used to make technicians or workers scale any level of the buildings or towers to complete the task. Rope access is not only safe but also cost-effective, less time consuming and less labour intensive. Green Smart Technical focuses on offering high quality rope access services within the agreed time frame and budget. 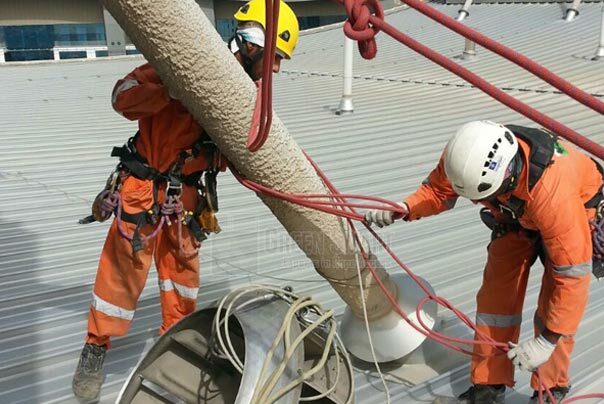 Having teams of highly qualified and skilled technicians who can be despatched to any extreme location to carry out the required tasks, Green Smart Technical has made its mark in the rope access service business in Dubai and surrounding areas. Rope access team members are trained to get on to any hazardous or inaccessible heights within a short notice to carry out highly organised and fast rope access services. The services offered by Green Smart Technical are strictly in compliance with the international safety and environmental standards and laws. Since rope access is used to perform maintenance and repair works in dangerous peaks, the risk involved to the employees is considerably less. Rope access services help to achieve speedy completion of work within the specific time and budget. 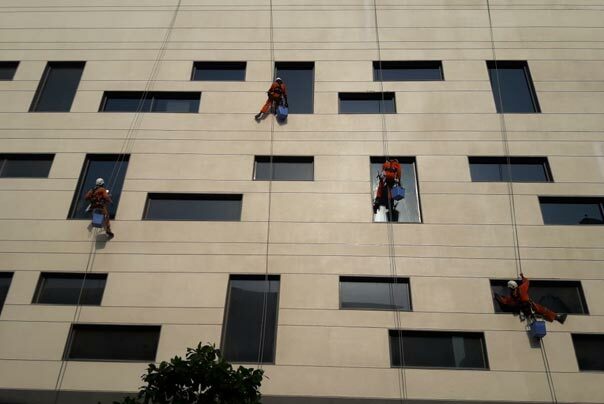 Some of the works offered by Green Smart Technical in Dubai include high-rise window cleaning, removal of stains from the exteriors, washing of tiles, facade cleaning, and also all types of small to big civic repairs on the periphery of the buildings which require providing workers, equipment and other items through rope access.